Why Ducati Corse - Opinions?? So, I was in A Ducati dealership choosing between two raised Ducati stickers. One was Ducati Corse the other Ducati. The dealer owner stated that I should choose the plain Ducati symbol because I have a 1199. 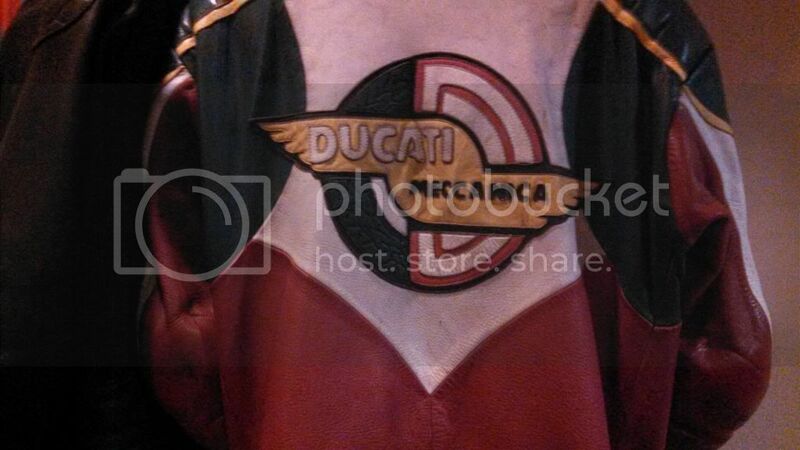 He believed the Ducati symbol is beautiful and elegant and was the proper emblem for the 1199. Two weeks later, I was in another dealership and the floor manager believed everything should be Ducati Corse, and that was the preferred symbol for Ducati enthusiast. What do you think? Why choose Corse? It seems Corse really has nothing to do with Ducati aside from the racing events. It does not even appear that their racing parts transfer over in our bikes. Ducati Corse is not like "Roush." We don't open a catalog and start buying Corse parts used in Moto Gp. I asked my grandma that question and she said the dealers were full of it - that the only proper sticker on a 1199 should be "Follow me to Starbucks." Seriously? You're asking lwhat the proper sticker should be? No, I don't care about the sticker. I'm curious why people personally choose one emblem over the other. Yes, you're right. Also, I can go into a dealership and buy a AMG or M model. Therefore that brand is physically part of my life. It does not appear that you can do this with Ducati Corse at the dealership. It's almost the equivalent of buying a Chevrolet from the dealer and sticking NASCAR on it. IMHO... Just my thoughts and wondering how others see it.